Mcdonalds has a new promotion! 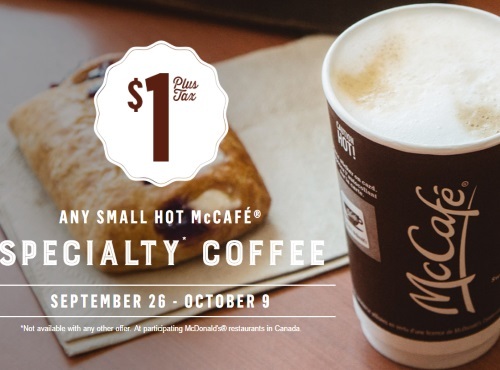 Get a Small Hot McCafe Specialty Coffee for only $1! Offer is valid September 26-October 9,2016 at participating McDonald’s restaurants in Canada. Also, check out our earlier post with Mcdonalds coupons here.